Some highlighted features include the following and applies to all platforms unless otherwise stated. It all starts with downloading a map from the Avenza Maps Store - a collection of nearly 1 million professionally created, high-quality, offline maps. 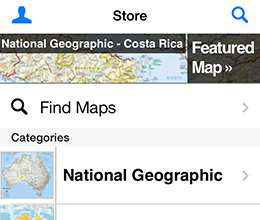 Browse or search for your map from within the app, or online. All maps are location-aware and are ready to be used on your next 'off the grid' adventure. Find your location on a map even without WiFi or network connectivity. 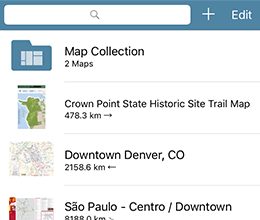 Maps downlaoded from the Avena Maps Store are georeferenced, which means that the GPS on your mobile device can use your location to pinpoint you on the map with a blue dot, and the dot follows you as you go. You can also upload a limited number of your own georeferenced maps using the free verson of the app. See the exact GPS coordinates of your location at any time, so you can report you location if you need help, or to accurately locate points of interest. You can calso search for specific coordinates on the map, and toggle between coordinate systems. Choose a point on the map to see the distance, heading and time to reach it from your current location. Drop a placemark on the map at locations you've visited or want to visit. Mark the location of objects, hazards or anything else that you want to remember. Edit the colour of your placemarks and label them for easy reading. 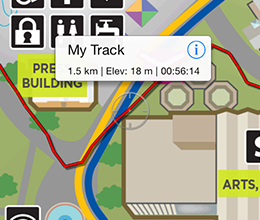 Record the path of your trip as you travel across the map enabling GPS tracks. 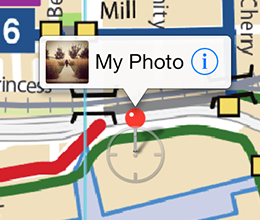 Save tracks on your map and edit the properties including changing the colour and title. 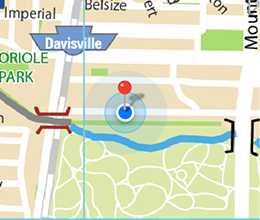 Multiple tracks can be stores as layers on a map. 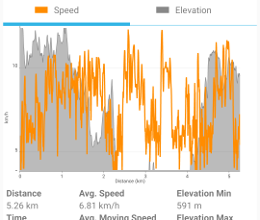 View the details of a recorded GPS track including distance traveled, total time, average speed, and elevation changes. Captured a photo of something interesting and wanted to plot it on your map? Simply add the geotagged photo and a placemark will drop in the correct location on your map. It couldn't be any easier. 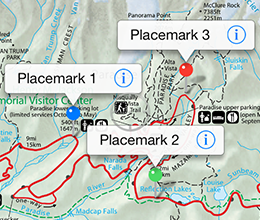 Map features such as placemarks and GPS tracks are recorded on separate layers for easy viewing on the map. Hide or surface the layers as necessary to see what you need to see whithout a lot of clutter of overlap. Layers can also be used to export map features to use on a different map, or to share with another Avenza Maps user. 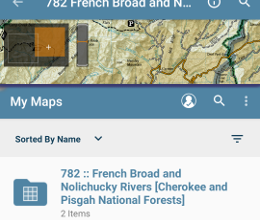 Group similar maps together for easy access and viewing using folders on the My Maps screen in the app. 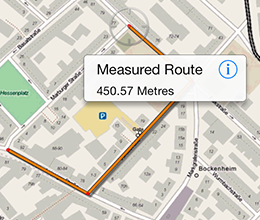 Create collections of adjacent, or overlapping maps to view your location at different scales, and reference points. Download your maps over a Wi-Fi or cellular network. Avenza Maps® Pro allows unlimited imports of geospatial PDF, GeoTIFF, GeoPDF®, and JPG (with appropriate reference files). The beauty is that you can access these maps even when you're offline. Add shapefiles directly to your map to work with points, lines, and areas. Use the Draw and Measure tool to create areas and export to shapefile when ready to share. Easily record attributes at any placemark or track. Add custom fields, insert field values, modify location, change color and add notes and geotagged photos. Easily convert your collected GPS Tracks into an area (requires Pro subscription and is for iOS and Android only). Took all that time to carefully plot placemarks, create tracks, measure areas, and collect data in the field? 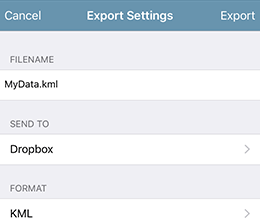 Save them as KML, CSV or GPX format and export to iTunes, send as an e-mail or sync with Dropbox. Alternatively, import a KML files to place placemarks on your map. Import and manage custom symbol sets to use with your maps. Set default symbols to be used on layers while collecting data. Easily manage deployment to your team using our subscription management system. No need to have physical access to devices to check status of subscriptions and renewals. 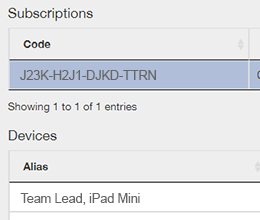 Enable and disable subscriptions from one location. 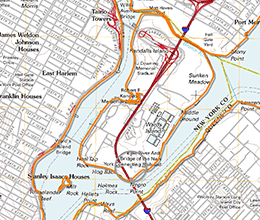 Browse, preview, purchase and download professionally created maps from the Avenza Map Store, including USGS topographic maps for the entire United States, recreation maps, NOAA nautical maps, and maps from National Geographic. Access and load maps through iTunes File Sharing, Android file system, or over a Wi-Fi or cellular network. Saved maps can be used without the need for a live network connection (offline). Save placemarks and quickly navigate to placemarks from a list view. 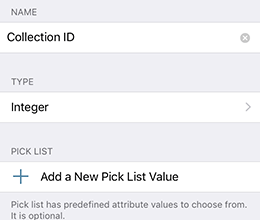 Save associated placemark attribute data as KML, CSV, or GPX files and export to iTunes (iOS only), save to SD card (Android only), e-mail or sync with Dropbox. Import placemarks (in KML/KMZ format) from SD card (Android), Dropbox or the web. 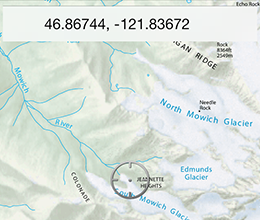 Easily find the coordinates of any location in the map; including the ability to type in a coordinate to search. Search for points of interest on any map. Places are based on search engine results. 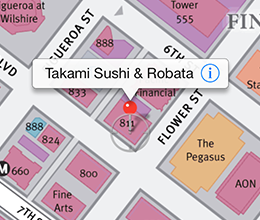 Save places as placemarks that can be visible or hidden as required. NEW AVENZA MAPS RELEASE AVAILABLE NOW. Download the free Avenza Maps app from the App Store or Google Play. iOS: Requires iOS 10 or better. Compatible with iPhone, iPad, and iPod touch. Android: Requires Android 5.0 or better.